The P164SE is a 16?, electric, hazardous location, single-speed, smoke ejector designed to be the perfect combination of size and power. Perfect for departments in need of an everyday smoke ejector that they can use in all types of environments, including ones with hazardous or unknown gasses. 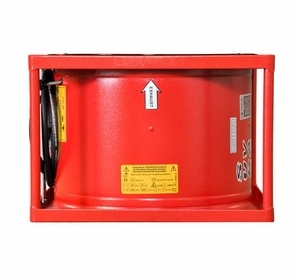 The P164SE is powered by a motor rated for Class 1 Group D environments.